French Expert? No. 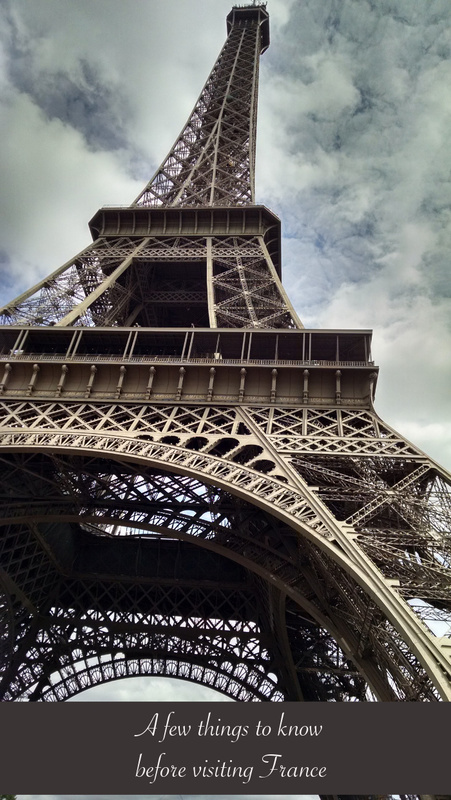 But here are a few things I have learned and have been grateful to know while traveling in France. Don't smile at people on the street. When Adam told me about this a few months before we left for France I was kind of floored. In the United States, people usually smile at each other on the street to say, "you're cool, I am cool, we see each other and now we will leave each other alone; right?" In France, people may stare at you, but they generally won't smile, because a smile would be stepping into your space. They might think you want something or maybe that you're hitting on them... On the other hand, if you go into a shop, restaurant, or up to someone to ask for something, it is very rude not to acknowledge them first by saying "bonjour." After all, you are entering their space. Take the Metro sometimes. I used to think that walking everywhere was the best in a big city because lots of things are so close to one another. Walking is awesome, but sometimes it's worth it to take public transit. The metro was intimidating, and buying tickets can be a little tough. But this time in Paris we stayed about 3 minutes away from the 1 Line, and it made a huge difference in my ability to get around. It just makes you so much more mobile, and the Metro goes just about everywhere. During our stay, I could pop on and off to get downtown in just a few minutes with Fox, and then get back to our hotel quickly to get him a nap. It was the best. I got a Navigo pass (a refillable metro card), which allowed me to use the metro as often as I wanted for the week. Do the things that you want to do. This sounds really stupid, but one of the things I like the most about Adam is that he doesn't go see things just because they are famous (I often do). He visits places and sees things that he has interest in and actually wants to see. If you honestly aren't that into museums, maybe you should pass on the Louvre. What?! Pass on the Louvre? But it's so famous! You won't die just because you didn't see the Mona Lisa (it is tiny, and super hard to get close to because of the crush of people around it anyway), and you might have a much better time visiting Versailles or wandering Père Lachaise. If you do go see famous things at a museum, take a minute or ten to actually look at the piece in front of you: why is it famous? what does it communicate to you personally? Take a bit of time to make it meaningful beyond just checking your "see it 'cause it's famous" box. Basically, what I'm saying is that you should do things that make your trip fulfilling. This time, it was wandering around green spaces with my baby. It was simple, but great. I didn't go up the Eiffel Tower, or take a boat cruise, or go to the Louvre, but I did walk across some gorgeous bridges, I got to see the oldest tree in Paris, and I got to wander the Tuileries gardens. After I changed my expectations of what needed to be seen, I was able to enjoy my trip a whole lot more. Make a few small efforts not to stand out. Paris has tons of tourists, and is used to having lots of foreigners. There's no shame in being a tourist, but there are a few things you can do to not stand out so much, and which can help keep you from being a target for theft. Don't wear PJ's, flip flops, athletic clothing (running shorts and workout clothing) or obviously touristy things like sports graphic tees or Hawaiian shirts. France is a dressier place than the US, and it is not acceptable to wear things as casual as flip flops or pajamas. Also, many French people are relatively conservative in their dress. Avoid really short skirts or loads of cleavage, unless you want to look really easy. People just don't wear things like that on the street. Don't get drunk. I don't drink, but getting drunk here is not okay. Seriously. In the US, getting drunk can be seen as a 'cool' or 'rebellious' thing to do. In France, people do drink. A lot. But normally not to the point where you can't walk home. When you do, you are telling everyone that you can't control yourself enough to stop. Not cool. This was very useful, interesting and well written. Especially since I'm coming to France in a few weeks. Written in an engaging style, with loads of good ideas. After reading this, I'm planning on not getting drunk. When we lived in Europe, we would play the game "spot the American". Not just spot another European tourist--but spot the American. It was fun to do and sadly quite easy. How wonderful you are experiencing France like a local. Are you practicing your french?